On a fascinating and edifying edition of After Hours AM/America’s Most Haunted Radio — scintillating paranormal talk Thursdays 9-11pE with hosts Joel Sturgis, Eric Olsen, and Heidi Hollis — we plunge into Science Channel’s Strange Evidence show, where the seemingly unexplainable is explained by scientists and experts, with series co-star Dr. Sian Proctor. We talk with Dr. Proctor at 10pE; at 9pE, Joel, Eric, and Heidi review the latest paranormal news from the America’s Most Haunted Twitter feed and banter amiably. Science Channel’s STRANGE EVIDENCE returns for a second season to investigate some of the most bizarre phenomena and mysteries ever caught on camera. 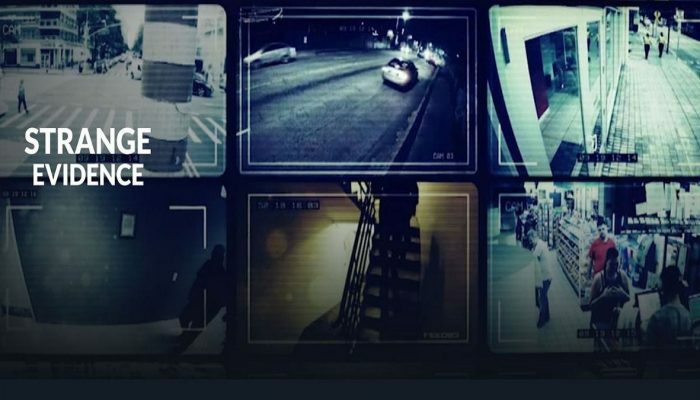 Around the world, millions of surveillance cameras capture footage that defies reason, from apocalyptic weather occurrences and unidentified creatures to remarkable physical feats. A team of experts uses forensic analysis to determine the truth behind these seemingly unexplainable events happening all around us and their scientific underpinnings. The new season of STRANGE EVIDENCE premiered July 10 and new episodes run Tuesdays at 9pET/PT. Viewers can also catch up on past episodes on the Science GO app with their paid TV subscription. In the premiere episode, scientists examine an eerie, toxic fog that creeps into an Illinois town, causing people to flee for their lives. Also, a deep-sea dive team in the Gulf of Mexico spots a curious looking organism through their camera before it disappears back into the inky depths. In China, a highway collision creates a freeway fireball that has experts puzzled over the scale of the special effect-like blast. In episode two, a strange creature like the Loch Ness Monster is recorded in America. Experts analyze evidence of a giant scaly egg, and some wonder if it belongs to a dragon. Birds are suddenly vaporized by an invisible death ray. Dr. Sian Proctor is a geology professor at South Mountain Community College in Phoenix, Arizona. She is currently a featured scientist on the Science Channel show Strange Evidence. She was also featured in the PBS series Genius with Stephen Hawking. She’s in Episode 2: “Are We Alone,” where she demonstrates how to search for intelligent life in the universe. Sian did her sabbatical work at FEMA’s Emergency Management Institute developing their science of disasters curriculum and spent 10 weeks surviving the apocalyptic world of The Colony which aired on the Discovery Channel. She also hit the high seas as a National Oceanic and Atmospheric Administration (NOAA) 2017 Teacher at Sea and was a 2014 PolarTREC teacher studying climate change research in Barrow, Alaska. Dr. Proctor has a passion for space exploration and spent this past summer at the Smithsonian Air & Space Museum doing astronomy education outreach. She was a finalist for the 2009 NASA Astronaut Program and was the Education Outreach Officer on both a 2-week and a 4-month NASA funded Mars simulation. Dr. Proctor was a 2016 ACEAP Astronomy Ambassador to Chile where she spent time at ALMA, CTIO, and Gemini observatories. 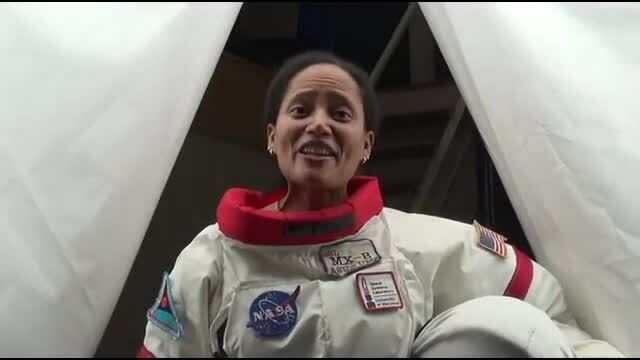 She is currently a 2018 NASA Solar System Ambassador and a NASA Space Station Explorers Ambassadors. When Sian isn’t engaged in professional development she can be found hiking 500 miles across Spain, SCUBA diving in Australia, playing ice hockey with friends, or learning to fly. Sian has a B.S. Environmental Science from Edinboro University, M.S. Geology from Arizona State University, Ph.D. Curriculum & Instruction: Science Education from Arizona State University.